Today is the Summer Solstice, the longest day of the year when the sun is at its highest point and, if folklore on our allotment site is to be believed, it is also the time to harvest your garlic, which of course should have been planted out on the shortest day of the year. 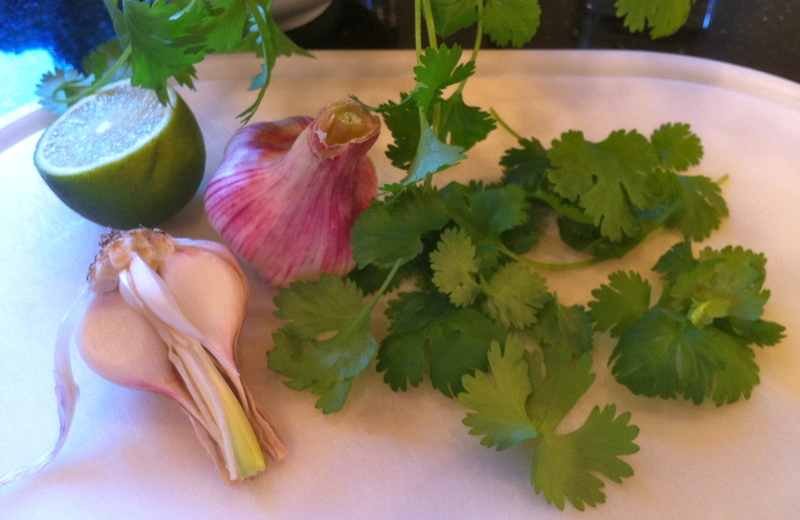 Young garlic is a real treat, far sweeter and less pungent than that which has been stored for a long period of time, therefore lending itself to recipes where there is very little cooking or it is used raw. Probably one of the best loved and simplest recipes is for garlic butter. A crushed clove per 25 grams of soft butter is a the general proportion. Add snipped chives and salt & pepper for delicious garlic bread, 100 grams of butter being enough for one baguette. 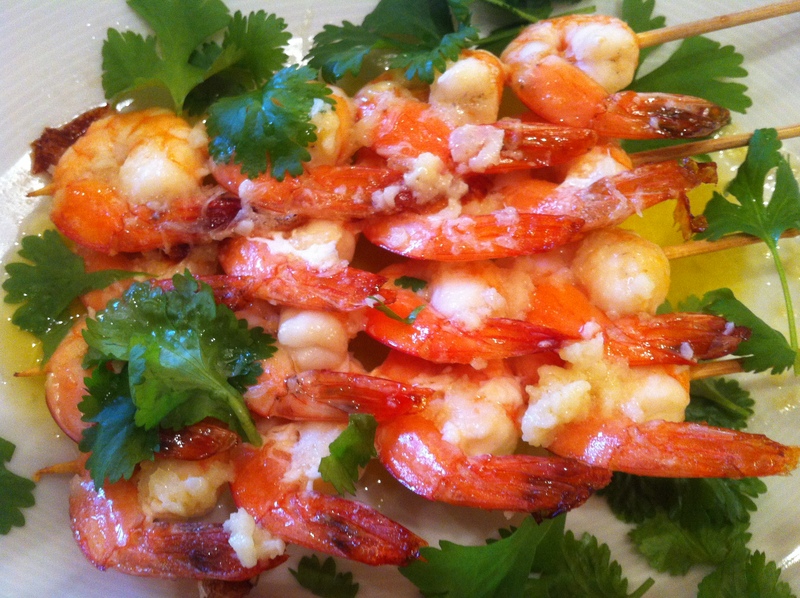 Or in the case of these prawns lime juice and corriander. The garlic in this post was grown by our fellow allotment holder Steve Pearham. 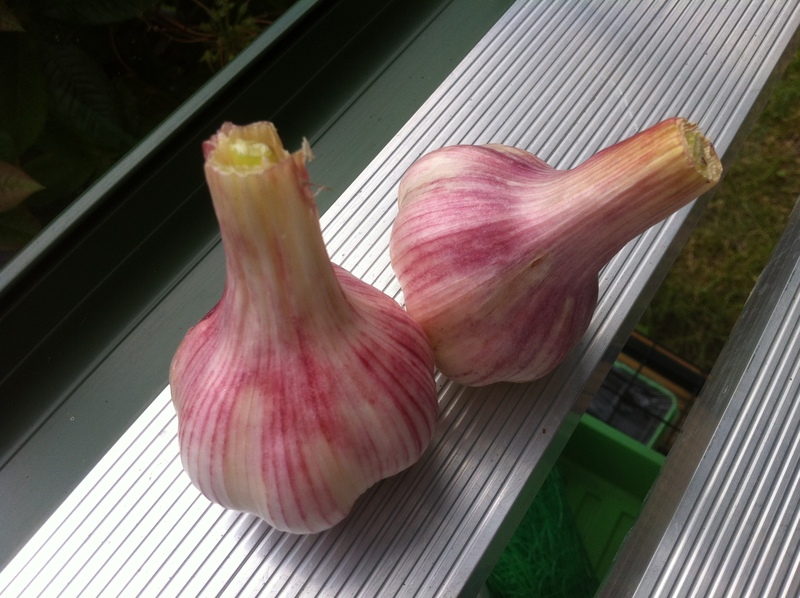 Lots of further information about garlic is available from The Garlic Farm here.